M-sf4-2015.9.16-Moose. One of those times when things come together. Lucky enough to capture this great bull but also to have my friend Bill show up with his family only made it better. 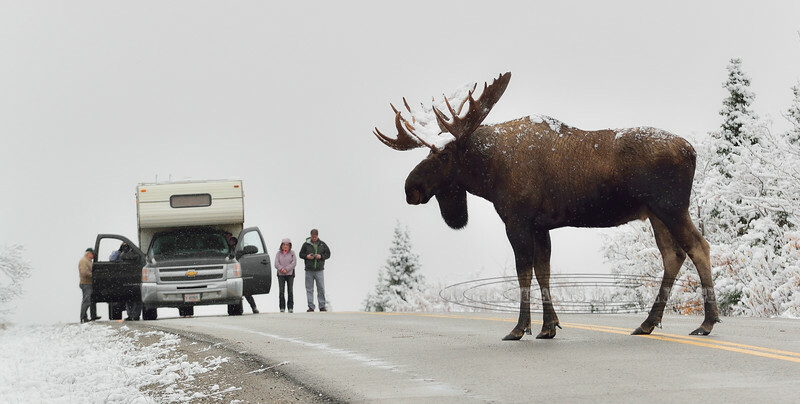 Grand old bull stops traffic in Denali Nat. Park, Alaska. #916.208.